San Francisco, CA (February 1, 2011)—The National Film Preservation Foundation (NFPF) has received a $203,000 federal grant to preserve and make available 40 American silent films repatriated last year from New Zealand—films unseen in the United States for close to a century. The award, one of 61 announced earlier today by Jon Jarvis, Director of the National Park Service, is part of the Save America’s Treasures program, a national initiative to preserve culturally significant collections, structures, and historic sites that epitomize the creativity and ingenuity of the American people. “These Save America’s Treasures grants will preserve the physical fabric of our history and the rich diversity of America’s story, as told by its artists, scholars, and other notable figures. These awards also honor the hundreds of volunteers, organizations, and communities whose energy and investment are ensuring that this national legacy endures for generations to come,” said First Lady Michelle Obama. The American films to be preserved through the SAT grant are among the cache of 75 motion pictures from the 1910s and 1920s returned to the United States through a partnership between the National Film Preservation Foundation and the New Zealand Film Archive. Some 90% are thought to be the only surviving copies. In 2010, at the invitation of the New Zealand Film Archive, the NFPF shipped back the most culturally and artistically significant American titles. 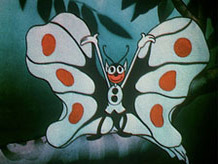 When announced last June, the discoveries were hailed by the New York Times as a “treasure-trove.” Among the finds are Maytime (1923), a feature starring Clara Bow, and a wide-ranging assortment of shorts ranging from an industrial profile about making Stetson hats to Happy-Go-Luckies (1923), a cartoon about two mutts who crash a dog show. The Library of Congress estimates that only 20% of the American features made before the coming of sound exist today. Shorter films—newsreels, cartoons, comedies, and documentaries—are thought to have an even lower survival rate. Thanks to the Save America’s Treasures grant, the 40 rare films will be preserved over the next two years and made available through the five major American silent film archives: the Academy of Motion Picture Arts and Sciences, George Eastman House, the Library of Congress, the Museum of Modern Art, and UCLA Film & Television Archive, which are collaborating with the NFPF on this project. Copies of many works will also be sent to the New Zealand Film Archive and viewable on the NFPF Web site. Among the other American treasures receiving preservation support through the SAT program are Acoma Pueblo in New Mexico, the personal papers of First Lady Jacqueline Kennedy, and the home of General Robert E. Lee in Arlington Cemetery. Each grant requires a dollar-for-dollar match of private monies. Already a number of contributors have stepped forward to help the NFPF make the one-to-one match in private funds and services required for the grant. Among them are Turner Classic Movies, which will save the political satire Andy Gump’s Stump Speech (1924), the Monte Banks comedy Brilliantino the Bullfighter (1922), and three other films; Sony Pictures, which has pledged support for Mary of the Movies (1923), the earliest feature from Columbia Pictures known to survive, and several other features; and Colorlab, which is donating preservation services to the project. The National Film Preservation Foundation is the nonprofit charitable affiliate of the National Film Preservation Board of the Library of Congress. Since starting operations in 1997, the NFPF has helped save more than 1,706 films at archives, libraries, and museums across 48 states, Puerto Rico, and the District of Columbia.